We’re sorry the fast has ended. If you would like to be included in future fasts, please subscribe to our mailing list below for notification. A few days before the fast begins we will send you an email with what you will need to have ready in preparation of the fast. During the fast, every day at 12:01AM EST you will receive the email for that day which will have a prayer focus and scripture meditation. A sense of freedom and peace in your mind, body, spirit and soul. It is a complete detox. Direction on how to move forward in 2019, not from us but from God since the whole purpose of the fast is to get you more focused on Him. Cost: Being willing and obedient to follow what the Lord will reveal to you during this process. Other than that, it’s free. The bottom line is ask God what He would have you do and do that. For one day of the fast (Day 6) we would recommend a liquid fast if you are able to do it. So any liquid, juice, broth. A liquid fast is a power fast so you can get miracles going, deliverance & breakthrough. Please do what is best for you and your health, consult your doctor. If you know you cannot do this, then do your best. Unless you must, please consider shutting it all down for a week. You can decide after the fast if you still want to keep up with the Kardashians. How badly do you want what you are fasting for? 2019 is the Year of Fruitfulness and we want to help you enter the New Year with Clarity and Focus. This fast has helped me tremendously, to get back on track with God and to see things in new ways! Potential! Potential! Potential!!! Thank you for the great work that you do in helping bringing believers focus and attentive to our Father. God bless Mop and may the peace of Christ live in all your heart, Amen. It was God alright! Two days before Week 2 I get a prompting, “Google Fast 2019.” I do and discover it’s M.O.P! Your website helped me during a rough time with my doggies (Praise God!) This fast was amazing! I had NO idea the Daniel Fast is a fast for revelation. The Lord said Day 1 and Day 6 would be the most important. Dreams, visions, two encounters and revelation on how to pray in the courts of heaven for my son and our Nation. Thank You Jesus! GOD BLESS M.O.P!!! And THANKS to ALL our brothers & sisters for your prayers!! 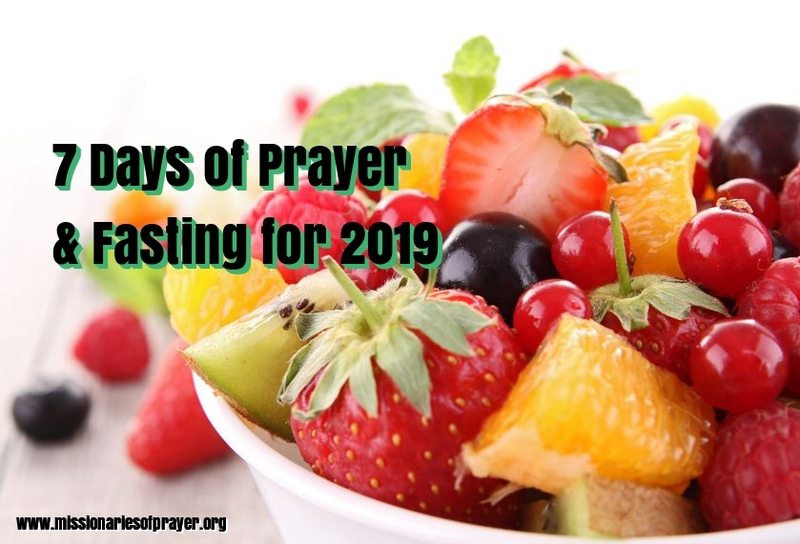 How do those persons, who had previously subscribed and also completed the fast which started on January 7th, access the new prayers and scripture readings in joining the fast starting on January 21st, 2019? Note that the instructions were completed in their entirety for the fast which started on January 7th. Hi Stephen, it is actually the same thing. You can just join in on the respective day because you already have the information. We actually had a lot of people who got breakthrough in week 1 and continued through to week 2 and saw even breakthrough in other areas. Blessings. I loved taking part in this fasting. Psalms 126: “126 When the Lord turned again the captivity of Zion, we were like them that dream. Thank you so much for this process, it was really powerful and I got a lot of answers and clarity from the many questions I was struggling with. Moreover I have a clear direction going forward. It has be so refreshing and I’m empowered. Thank you once more for your selflessness during this process. May God richly bless you. Thank you so much for being my daily guide on this 7-day journey of prayer and fasting. It was my first time to do this at the beginnjng of the year and I really want to make a change in my 2019 and start everything right with the Lord. This prayer and fasting helped me a lot. It opened up my spirit to deeper revelations from God. As I wake up very early in the morning (3am), the Lord never fails to fill me with His awesome presence and warm embrace. Day 06 brought me so much victory. I intend to do it again next week because God is stil showing me some areas that still needed tobe surrendered and broken. I am naturally a dreamer and during this fast, I even have dreams that I believe are God’s responses in relation to my prayer lists at the beginning of this fast. Indeed, a great experience. God is good. To Him all the glory and honor! Thank you for your commitment to seek God MOP. My husband and I have been really blessed with this fast. Loads of dreams and visions were seen and we have received some wonderful confirmations. I stumbled on this ministry just couple of days before the fast. And I must say it’s God that led me. It’s one of the best thing that has happened to me spiritually. I feel refreshed . Thank you Lord and MOP. You have already gained a member in me. Thanks so much for this fast,it has been enriching. Thanks so much for all the prayers and fast. It was a blessing for me. Continue to let God use you and to help others. Thank you so much! To everyone at ministry and all the believers around the world. This fast has been a true privilege and God is doing amazing things!! Thank you so much for this Fast. It was truly a blessing to me. I am looking forward to doing it again on the 28th and completing it.